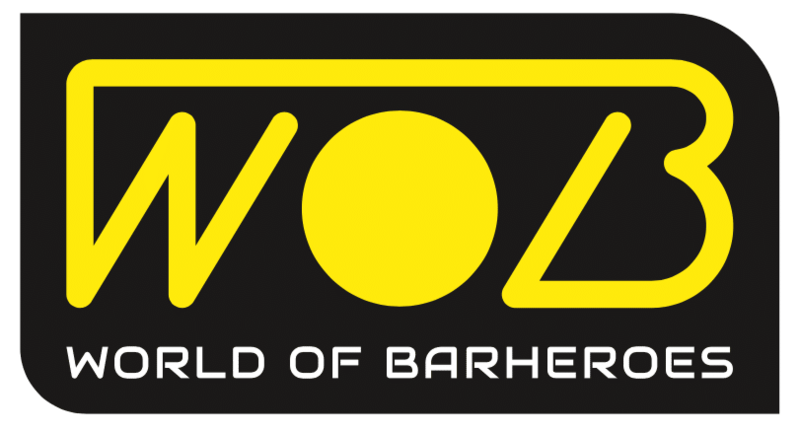 The association WOB introduces a new, clear and easy judging system: The WOB Format. Athletes will be judged by 5 independent judges in 5 categories: Statics, Dynamics, Strength-Dynamics, Combos and Creativity. Every vote given by a judge will be shown on a huge board to give every person taking part in the battle (be it athlete, judge, audience, DJ,…) the chance, to understand why a certain athlete wins. Judges are not allowed to communicate. Judges sit separately and don’t know who the other judges vote for. Judges have to decide for themselves. Every judge judges all categories. Each battle round consists of 2 turns of 45sec. for every athlete. Judges will judge after the second round. A combo is a sequence of skills put together to create a flow of movements. All judges judge in all categories. For each category the judge has to decide for himself which one of both athletes was better and vote for athlete blue or red. Each vote is worth a point. The athlete who gets more votes in a certain category gets an overall point for the category. 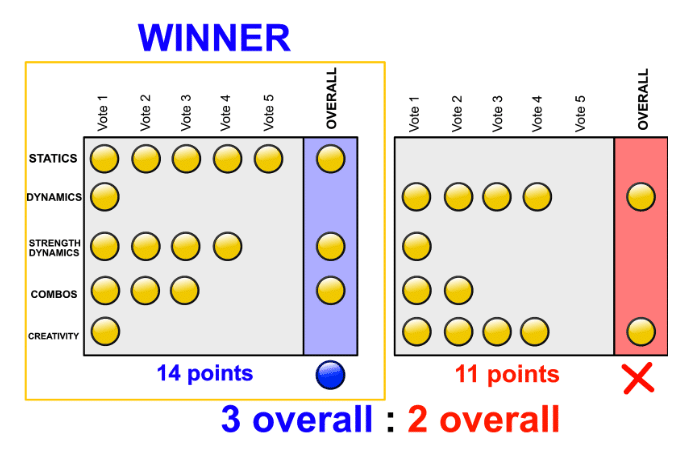 The athlete who has more overall points of the five available categories wins the battle round. Judges get 20sec. to decide for each category who they want to give their points to. Every judge has to vote every time and decide for an athlete. In this case the BLUE athlete wins. Nobody knows which vote came from which judge. The yellow points (in real life shown as lights) show up every time a judge hits either the blue or the red button in front of him.